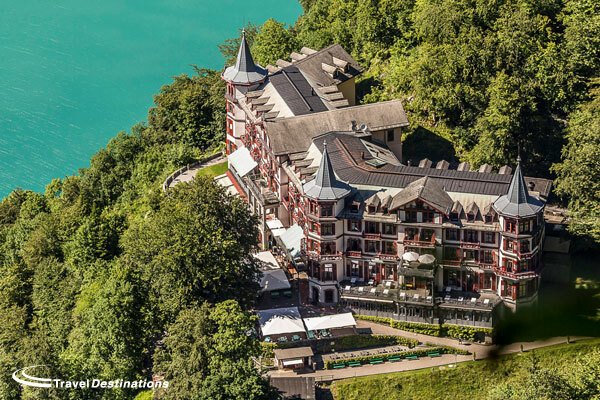 MG Switzerland is a ten night driving tour that takes you through France and into the magnificent Swiss Alps, where you will enjoy four nights at a four-star hotel on Lake Brienz and then three nights at a five-star hotel on the shores of Lake Geneva. The tour will take in the Grimsel, Furka and Susten pass allowing plenty of time to take in the unspoiled nature, local cheese, chocolate and wine along the way. As a special treat, whilst on Lake Geneva, we will take part in the 28th running of the Swiss Classic British Car Meeting in Morges; an event that attracts over 1500 classic cars each year. Today’s drive will lead you to the famous triangle of Grimsel, Furka and Susten Passes. You will pass blue lakes while winding up the hillside to the moss-covered granite rocks of Grimsel Pass. You are at leisure today to rest the car and explore the area further. Why not exchange the car for a steam locomotive and join an optional excursion to Brienzer Rothorn, where you can enjoy panoramic views over the Bernese Alps and lakes. Alternatively, you can visit Schilthorn; the famous James Bond mountain. On this visit you can take the train and cable cars up to the summit with an intermediate stop at Brig for a photo opportunity. The summit offers panoramic views of Eiger, Mönch and Jungfrau and you can have lunch at the revolving restaurant Piz Gloria. Four star hotel set alongside the Lake and an impressive waterfall. Add your email address below to sign up to our FREE newsletter. This will ensure you’re kept up to date with the latest events coming up.